We are seeking a Supporter Acquisition Manager, responsible for acquiring new financial supporters through regular giving and single gift acquisition campaigns. This role is responsible for driving mass market supporter acquisition for Berry Street across a range of consumer channels. You will be an experienced fundraiser, with experience in managing a growing Regular Giving program and knowledge of face-to-face and digital channels. You’ll have an innovative, problem-solving approach and strong financial and numerical skills. The successful candidate will be experienced in developing and managing campaigns across multiple channels, and must be able to work under pressure, managing multiple projects and stakeholders to achieve successful outcomes. This is a key and influential role within a successful, growing fundraising team. If you have 5 years or more experience in managing fundraising programs, and have a passion for working in a team that makes a difference in helping children grow up feeling safe and nurtured, apply now! Join Victoria’s largest independent child and family services organisation and become a vital part of a team that never gives up doing whatever it takes for kids. 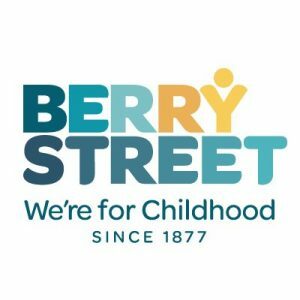 For over 140 years, Berry Street has helped children recover from the devastating effects of violence and abuse, working to ensure that children grow up in families and communities where they feel safe, nurtured and have hope for the future. Please quote in application: Supporter Acquisition Manager - Marketing, Comms & Development via Pro Bono Australia.